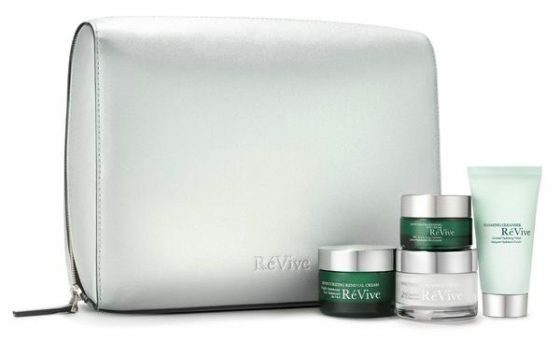 Renewal Essentials features RéVive’s bestselling regimen in convenient travel sizes. These AM & PM essentials, when used together maximize skin renewal benefits around the clock to reveal healthy looking, more luminous skin. 1 oz Foaming Cleanser Enriched Hydrating Wash – Powered by moisturizing Vitamin E beads, this ultra-rich foaming cleanser helps to remove impurities such as excess oil & makeup while softening and nourishing skin. 1 oz Moisturizing Renewal Cream – Powered by Bio Renewal Technology and featuring Glycolic Acid, this powerful perfecting night cream gently exfoliates, retexturizes, renews & moisturizes facial skin. 1 oz Moisturizing Renewal Cream SPF 15 – This day moisturizer helps protect skin with SPF 15 while encouraging skin renewal with a Rapid Renewal Complex that quickly reveals new, brighter skin. 0.5 oz Moisturizing Renewal Eye Cream – A powerful eye perfecting cream helps renew skin and hydrates to reduce the appearance of fine lines and wrinkles around the eyes. Apply Foaming Cleanser Enriched Hydrating Wash morning & night. Wet face first & gently massage in circular motions to form a rich foam, avoiding the eye area. Rinse thoroughly with warm water. 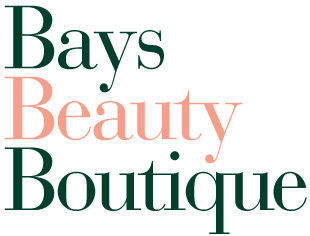 Apply Moisturizing Renewal Cream or Moisturizing Renewal Cream SPF 15 nightly or daily after cleanser, toner & serum. Follow with Moisturizing Renewal Eye Cream. Avoid contact with eyes. Wash hands after use. Foaming Cleanser Enriched Hydrating Wash – Aqua (Water, Eau), Myristic Acid, Glycerin, Potassium Hydroxide, Stearic Acid, Dipropylene Glycol, Lauric Acid, PEG-8, Parfum (Fragrance), Olive Oil PEG-7 Esters, Cera Alba (Beeswax, Cire d’abeille), Glyceryl Stearate, PEG-100 Stearate, Palmitic Acid, Melia Azadirachta Flower Extract, Corallina Officinalis Extract, Camellia Sinensis Leaf Extract, Ceramide NS, Coccinia Indica Fruit Extract, Melia Azadirachta Leaf Extract, Sodium Hyaluronate, Solanum Melongena (Eggplant) Fruit Extract, Tocopherol, Achillea Millefolium Extract, Allantoin, Chamomilla Recutita (Matricaria) Flower Extract, Foeniculum Vulgare (Fennel) Fruit Extract, Humulus Lupulus (Hops) Extract, Melissa Officinalis Leaf Extract, Viscum Album (Mistletoe) Leaf Extract, Aloe Barbadensis Flower Extract, Curcuma Longa (Turmeric) Root Extract, Ocimum Sanctum Leaf Extract, Beta-Carotene, Daucus Carota Sativa (Carrot) Root Extract, Glycine Soja (Soybean) Oil, Crambe Abyssinica Seed Oil, Butyrospermum Parkii (Shea) Butter, Hydroxypropyl Methylcellulose, Urea, Tocopheryl Acetate, Capric Acid, Caprylyl Glycol, Sorbic Acid, Ethylhexylglycerin, Butylene Glycol, Cellulose, Maltooligosyl Glucoside, Cocamidopropyl Betaine, Hydrogenated Starch Hydrolysate, Cetyl Alcohol, Jojoba Wax PEG-120 Esters, PEG-40 Hydrogenated Castor Oil, Lactose, Phenoxyethanol, Sodium Chloride, Tetrasodium EDTA, Alcohol Denat., Linalool, Limonene, Geraniol, Hexyl Cinnamal, Hydroxycitronellal, Citronellol, Benzyl Salicylate, Synthetic Fluorphlogopite, Tin Oxide, CI 77891 (Titanium Dioxide), CI 77491 (Iron Oxides). Moisturizing Renewal Cream – Aqua/Water/Eau, Dicaprylyl Maleate, Diisopropyl Dimer Dilinoleate, Glycolic Acid, Cyclopentasiloxane, Glycerin, Helianthus Annuus (Sunflower) Seed Oil, Glyceryl Stearate, Butylene Glycol, Cetyl Alcohol, Cetyl Phosphate, Sodium Hydroxide, Isostearic Acid, Stearic Acid, Sclerotium Gum, Squalane, sh-Oligopeptide-1, Tocopheryl Acetate, Phenoxyethanol, Bisabolol, Butyrospermum Parkii (Shea) Butter, Caprylyl Glycol, Dimethicone, Persea Gratissima (Avocado) Oil, Allantoin, Sodium PCA, Phytosterols, Olea Europaea (Olive) Fruit Oil, Disodium EDTA, Citrus Aurantium Dulcis (Orange) Peel Oil, Sorbitan Oleate, Glycolipids, Sodium Hyaluronate, Ascorbyl Palmitate, Sodium Chloride, Trehalose, Limonene. Moisturizing Renewal Cream SPF 15 – Active Ingredients: Avobenzone 3.0% Sunscreen Octinoxate 7.5% Sunscreen; Inactive Ingredients: Water, Cyclopentasiloxane, Glycerin, Caprylic/Capric Triglyceride, Triolein, Butylene Glycol, Pentylene Glycol, Oleyl Erucate, Thermus Thermophillus Ferment, Cetearyl Alcohol, Glyceryl Stearate, Dimethicone, Hydrogenated Polyisobutene, Isopropyl Isostearate, PEG-100 Stearate, Sodium Hyaluronate, Tocopheryl Acetate, Tocopherol, Chondrus Crispus Extract, Oligopeptide-41, Oligopeptide-24, Microcrystalline Cellulose, C14-22 Alcohols, Hydroxyethyl Acrylate/Sodium Acryloyldimethyl Taurate Copolymer, Squalane, Ammonium Acryloyldimethyltaurate/VP Copolymer, Tetrahexyldecyl Ascorbate, Cetyl Alcohol, Allantoin, Carnosine, Disodium EDTA, Lecithin, C12-20 Alkyl Glucoside, PEG-75 Stearate, Inulin Lauryl Carbamate, Silybin, Cellulose Gum, Ethylhexylglycerin, Cetearyl Glucoside, Polysorbate 60, Ceteth-20, Steareth-20, Adenosine, Sorbitan Isostearate, t-Butyl Alcohol, Gluconolactone, Glyceryl Citrate/ Lactate/Linoleate/Oleate, Vegetable Oil/Olus Oil, Glucose, Potassium Sorbate, Glycine Soja (Soybean) Oil, Sodium Oleate, Hydrogenated Lecithin, Fragrance, BHT, Phenoxyethanol, Sodium Benzoate, Geraniol, Hexyl Cinnamal, Hydroxycitronellal. Moisturizing Renewal Eye Cream – Aqua/Water/Eau, C12-15 Alkyl Benzoate, Caprylic/Capric Triglyceride, Glycerin, Cetearyl Alcohol, Pentylene Glycol, Hydroxyethyl Urea, Butyrospermum Parkii (Shea) Butter, Cetyl Alcohol, Glyceryl Stearate, Dimethicone, Phenoxyethanol, Steareth-20, Ceteth-20, PEG-75 Stearate, Tocopheryl Acetate, Glucosamine HCl, Carbomer, Pisum Sativum (Pea) Extract, Panthenol, Faex/Yeast Extract/Extrait de levure, Bambusa Vulgaris Leaf/Stem Extract, Aminomethyl Propanol, Caprylyl Glycol, Xanthan Gum, Chlorphenesin, Urea, Carnitine, Ammonium Lactate, Hesperidin Methyl Chalcone, Soy Amino Acids, Ethanolamine, Sodium Hyaluronate, N-Hydroxysuccinimide, Sodium Benzoate, EDTA, Methylisothiazolinone, Dipeptide-2, Tetrasodium EDTA, Palmitoyl Tetrapeptide-7, Chrysin, Palmitoyl Oligopeptide, Disodium EDTA, Glycine Soja (Soybean) Oil, Sodium Oleate, Hydrogenated Lecithin, Oligopeptide-24.